Foreign Affairs Minister Lawrence Cannon says he would consider direct diplomatic contact with opposition forces in Libya. Foreign Affairs Minister Lawrence Cannon said he would consider direct diplomatic contact with opposition forces in Libya. Canadian opposition politicians pushed the government Monday to make contact with the Libyan National Council, which has been the political voice of the rebel-held areas in the North African country. Cannon told reporters after speaking to the House of Commons foreign affairs committee that there would be a "great deal of validity" in speaking with the rebels. "The objective here obviously is to be able to put an end to the violence that's taking place and looking at diplomatic solutions to make sure … Canadians, as well as other foreign nationals, get out of there safely and that we do restore peace." 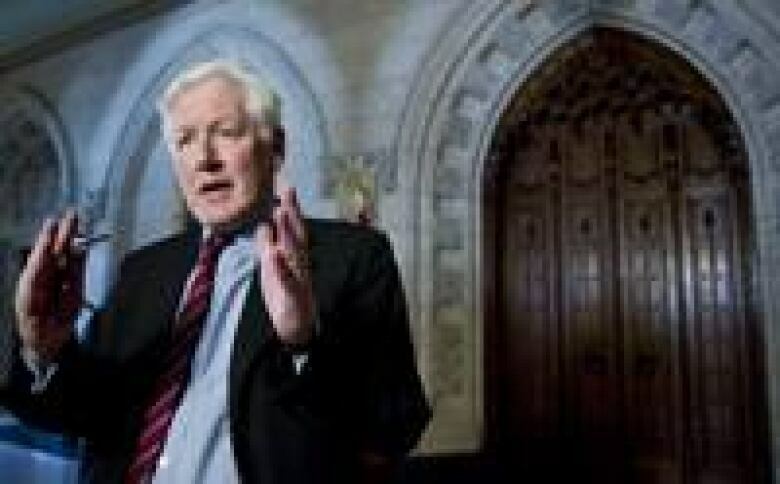 Liberal foreign affairs critic Bob Rae said earlier Monday that the world needs to isolate Gadhafi so he's forced to step down. "We need to establish diplomatic contact and contact with the Libyan National Council, have direct contact with them and know what they are doing, and we need to be engaging directly with Arab League and African Union to discuss the further steps we need to take to assist in the defeat and the overthrow of Col. Gadhafi," he said. Rae said Canada should also expand asset freezes to squeeze the senior Libyan government and military officials keeping Gadhafi in power. Rae told reporters in Ottawa the world also needs to make it clear those officials will face the same consequences as Gadhafi. "We have to be placing more and more people on the list of those who are going to be subject to economic sanction and subject to difficulty," Rae said. "The message has to go out more and more to those people who are serving under Col. Gadhafi that they do so at a price and at their own peril, that if they choose to continue to serve Col. Gadhafi they will be considered part of the regime and they will be considered to be part of the consequences of that under international law." Rae also suggested putting oil revenue into an escrow account so the money doesn't go to the regime. "This has got to be an exercise where we do everything we can to squeeze Col. Gadhafi back into as tiny a circle as possible, which will lead ultimately to his defeat," he said. 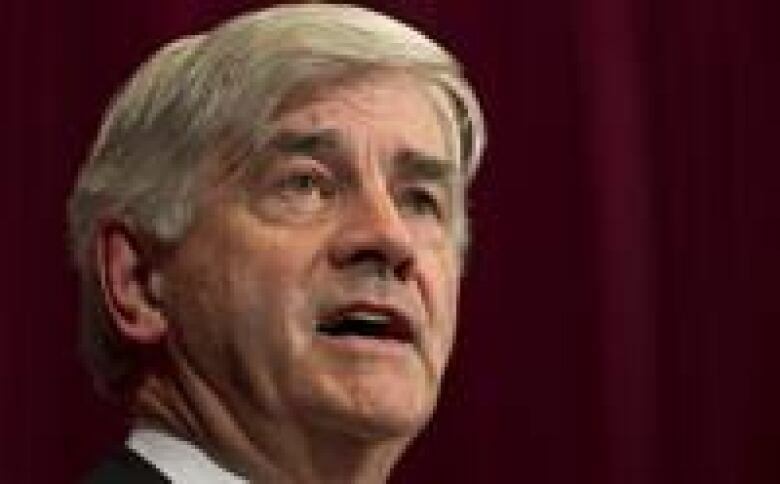 CBC News has learned that there are no plans so far to send Canadian ground troops to Libya. Meanwhile, Canadian frigate HMCS Charlottetown plans to stop at Gibraltar on Wednesday to refuel. It's still unclear what the ship will do when it arrives at the Libyan coast on Friday. Canada's C-130 Hercules transport aircraft did not take part in any evacuations Monday. Rae said the Canadian government is doing the least it possibly can on the file. New Democrat foreign affairs critic Paul Dewar said it was "important at this point to be trying to connect with what is being seen as the provisional government right now." Neither Rae nor Dewar had specifics on how Canada might accomplish this, but at least one attempt to do just that has proved perilous. Britain bungled its efforts to reach out to the anti-Gadhafi forces last week. 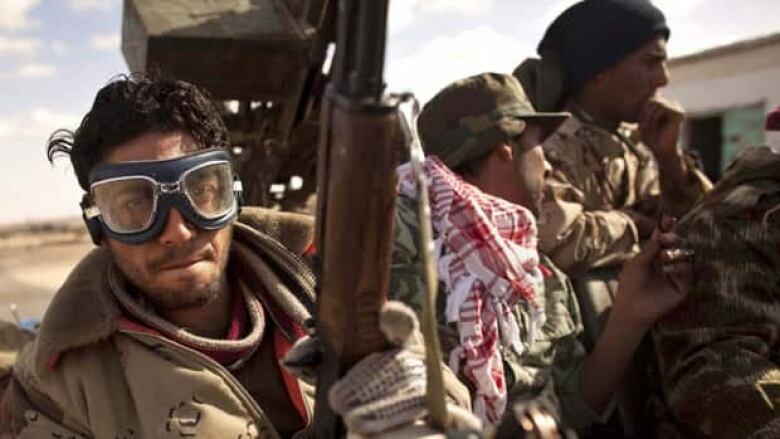 Eight people were detained by rebel forces after a helicopter carrying British diplomats and SAS special forces soldiers landed in eastern Libya. British Foreign Secretary William Hague blamed the incident on a "misunderstanding" Monday, but said opposition figures had "welcomed the idea" of establishing diplomatic ties. Hague confirmed other officials will be sent to eastern Libya to cement relations.